Karen Kho: I'm here to answer the "WHY"
I'm here to answer the "WHY"
I know i have to be patient and be positive, but i'm a human being. It's like this, tell me how to stay positive? My "santa claus" look, this is a after photo of acne injection in Dr.Ting. Yes, acne injection ON THE FACE... did these every two weeks. That's the 3/4 times dy.. It's hurt but worthy, cause at least it helps to kill the bacteria & breakouts.. I skipped all the event, outing, shooting, job because of my skin. Okay, what i wanna say is.. there's a reason why am i doing so. It's really serious, ugly.. not much people knowing this because picture can't tell.. The "soft skin mode" cover up everything. In fact, it's really serious.. redness and scars on my cheek, upper lips and lower lips. It's not that i don't want to go out... People don't know how serious it is, they thought that i'm just lansi or whatsoever. LOL! But i'm NOT okay.. It's really hard to face people like that... You understand? 除此以外，一见到一些很久没有见的朋友都会问我：wtf, what's happening to your skin? ARGHHHHH, i'm seriously tired with all these questions. I don't know how to answer. Let me just answer everyone here. 哦，没有啦。。就烂了咯。。哈哈哈哈 and then end of the conversation awkwardly. LOL! Why am i posting this up? because i'm tired of keeping everything inside. Let me share everything out, sorry if i scare you off with my ugly face LOL! Please allow me to be emo.. Yes, i'm trying to be positive. hi Karen..i really know ur feeling!!! Because i have the same situation like you...eveyone also asking about the question when my face have problem and i just answer it very awkwardly.. 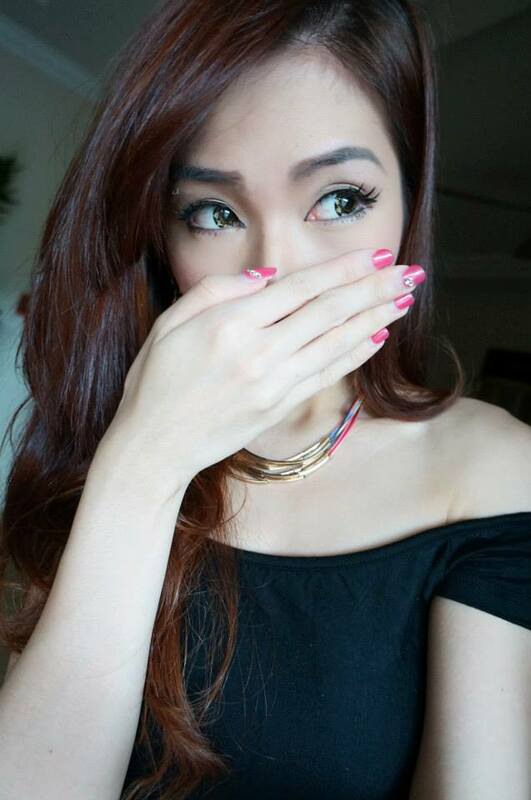 Sometimes see those pretty girls instagram i will feel so sad! Why they have fair skin but im having sensitive skin..even though it will recover but sometimes will happen again! Sigh... btw be strong!! How's your skin now? still serious? did you visit doctor? Yea i understand, my acne recover and came back again. That's why i'm visiting skin specialist now, hopefully can heal. I hope your skin will recover one day, just don't lose hope. Yea, i heard of it before. Bought their acne mask before. But my skin is still sensitive for now, don't dare to try facial for now. I had these problems for like 2-3 years already, so i decided to blog about this. Feeling better now, because i finally release it out, LOL! Hi Karen, There is nth to feel bad for expressing out your feelings. Not sure thought u will read this. I m here to tell you that i am facing the same situation like u, seek for doctor n it wont help. Some say that is because something is missing under my layer of skin, genes problem or hormones imbalance. Some doctor even say it wont be heal. I am frustrated as well when people start questioning. Try to hide breakout & scars, wearing long sleeve & long pants. My hands and legs are all scars, breakouts and sometimes itchy. I think it started from 11 years old till now, i am already 24. I understand your feelings because we are girls, skin is one of the thing we care about. Believe me there are something out there which can help you, just need some time to heal so don't give up. I'd been drinking ginseng powder from Taiwan, and this might help you but it need patients and time to see the effect. If you need any details you can refer to me. You have a kind heart n you deserve more so don't be emo. This is just part of life. Hi, may i know which doctor? isit healing now? Yea, i heard a doctor said mine is genes problem too, really upset. Like it's my end of the world. But i'm not giving up, trying out new doctor now. Hopefully it helps. He even told me that, it's necessary to take it and he will slowly cut down the usage. But i have directly stop it, even though it might be my only hope. Well~ my skin is at least better than before. I tried out the ginseng powder. It actually helps to boost up your body immune system and it heals naturally. I have witness people suffering from cancer or health disease being cure and heal after drinking it. It depends on your body condition, some heal real fast and some slow. As longer you have the problem, you take more time to fully recover. But so far i think is good, is just that sometimes my laziness make things worse. Last time i normally wear long sleeve and when people ask me questions i feel so hurt inside. Well...i think yours are small matter. So please don't easily give up. I think we have to be glad to what god give to us. Our weakness will let us learn and growth, in future it might become our strength. Fyi. I read through some articles, it said that some skincare which helps to heal your skin condition fast might not be good because it actually contains some acid kind of thingy which will make your skin used to it. So, just use skincare which is natural or for sensitive skin. Be careful with the lotion or medicine that doctor give you, ensure no 'steroid' contain. Maybe you can try out some Chinese herbs. If possible. Keep yourself calm, i think your emo will definitely effect your skin condition so don't worried be happy. Hi Jane, i'm eating clean for quite some time already. I totally can relate in your situation. I had terrible breakouts too. I used to be low self-esteem and lack of confidence, when i talk to people i don't see them in their eyes because i feel bad for my skin. But whatever is it, we have to stay positive. You're really brave ! My skin is better now but still feel insecure even there still left acne scars. Sometimes we can't really rely on the products so I've tried many homemade skin remedy, it works (: maybe you should try too, I get all the homemade skin remedy from the Youtuber Bubzbeauty. :D You should try as well. Karen, you are not alone, we're all in this together. Jiayou ! Hi dear, thank you for being understanding. Yea, i do agree with that. I've tired tons of skin care, but nothing helps. Now consulting doctor and taking medicine, guess i need to be patient. Hmmm ..
give your skin some time, when its recover, I'm sure your body is perfect to match it also! gah yao! That's what i'm doing now, hopefully the day will come ASAP. LOL! cheer up..my face also same as u ...but now just have little bit redness and some scar . Hi Karen, its felt sad to seeing your face problem like this, I used to have this problem for few years back, that time was my secondary school to university period, maybe because of hormone, i can fully understand your feeling that the not confident feeling, don't even feel want to look into people's eyes when communicate with them, because scare them will keep pay attention on my skin. My skin recovered after long time for therapist, and I used the brand of "Clinique", this quite hurt skin, your skin will become dry and sensitive but your pimples will get less, its depends on your want to try or not. Feeling sad to seeing you like this, you are a tough girl, you know what? i like you so much as you are giving me motivation to hit gym, i having weight problem now and get fat after work at Singapore, maybe because of my work, I need to sit whole day in the office for 8 hours, then my belly, my thigh all very fat now. I seriously hate my fat now, confident lower down, but i keep reading your blog to give me some motivation, because i wanna be fit like you! Don't Worry dear, you can do it too! i will be publishing a new blog post regarding how to use stairs to workout. I think it's good and suitable for office lady like you who have no time to go to the gym. Stay tuned. Helo, you can try MRT steps to help you gain back the prettiness before & escape from the bitterness suffered now. Kindly contact my facebook la, Bighead Tornado. I will teach you how to heal. Looking forward for your reply. My brother had worst acne problem than you.. after two months on Retin-A pills it got better A LOT. Just my advise. Stay strong babe! What Retin-A pills? from doctor? Yes, actually i've tried a lot of skin care, but nothing can helps. Take care babe ! Everyone has their imperfections and weaknesses. You're really great by not giving up and having this courage. Gambateh!! Hahaha, cause there's nothing to hide.. People will know when they saw me in real life. Oh really? i think i've changed a lot because of my skin. Sigh. It's 2-3 years already, really hope it will recover someday. Yes i will try to be strong. please stay strong, drink more water and keep doing your exercise, and also try to avoid to stay up late till midnight.. and maybe you can try to be a vegetarian for awhile.. face is really important esp for a girl, you are so pretty, you sure can pass this hard times I believe, keep your faith.. Yes dear, i'm staying strong for 2-3 years already! LOL! Maybe i should sleep earlier. Thanks for advices. Hi Caroline, i think it's better for me to stick to one skin care, because i've tried a lot of different one. Yes, i'm visiting Dr.Ting now & i think it's good. Just need some time to recover. Don't give up, there's always hope. I've fight against these for 2-3 years already. 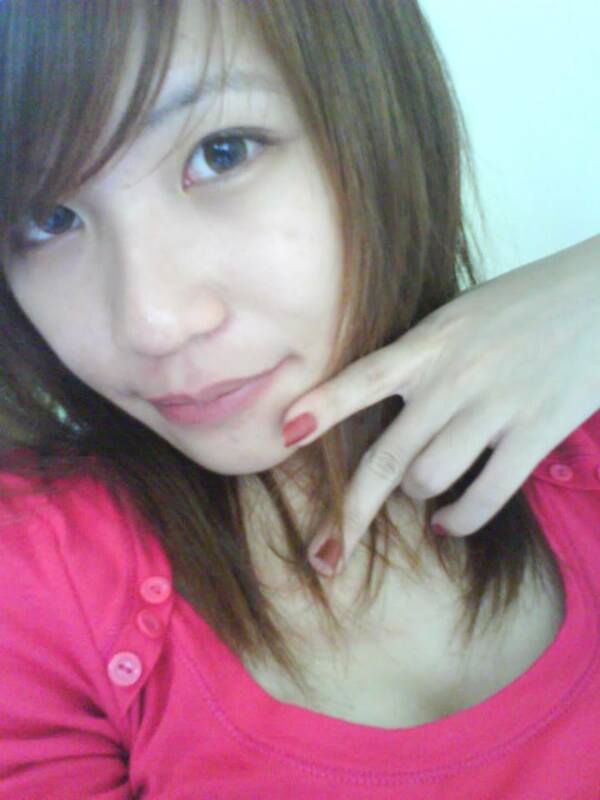 The photo i publish above is not my worst condition, there are time when my skin is worst than this. I once experienced the same thing as you have, big cystic pimples along my jawline that hurt like crazy, whiteheads, pimples, backheads etc.. Back then, it was caused by hormone imbalance as I was going through a very stressful relationship, lack of sleep and work stress. Once I got out of the relationship, my complexion has gotten slightly better but I ended up signing a package with Sothy's. The good thing is that it worked for my face and I have no scars at all now. Bad thing is that Sothy's is not the cheapest facial salon around. My face was very oily back then and it's now turned to combination skin, just a tad oily at my T-zone :) Don't know what happened but I am very lucky. I hope you complexion resumes the way it was before and all the best! Don't let others who don't know you well enough judge you because of your looks. You are better than that and you know better. I signed up with sothy's, assata, cellnique before. LOL! Wishing you a speedy recovery. Fighting~! Alright dear, will check it out !! Maybe try extractions and then follow up by laser. It helped me. I had acne worse than yours. My skin is flaw free now. I've been reading your blog silently tbh. I admire your determination in losing weight. I'm fit but I think I could do better hehe. :) You're like my role model now! Hi Michelle, i'm afraid of extractions will leave scars because not every beautician is good. Hahaha, silently? Btw, Thanks for reading..
yes, that is true. it's not easy to find a good aesthetician! are you taking roaccutane? or any contraceptives? how are the side effects? i even went for acupuncture. it works. haha. i usually get it at tong shin hospital. :) i even drank a lot of chinese meds! Yes, i'm taking Roaccutane now, don't think there's any side effects for now. Yea, my friend recommend this to me too. Hahaha, cause people will eventually know it, so there's nothing to hide about. Yea, i think i should try Aloe Vera too, heard that it can reduce redness. Maybe i should try it. I just started reading your blog very recently, and I'm always impressed by your zeal and your passion to do your very best. I have been an acne sufferer for many, many years (I'm much better now), and I cant tell you how amazed and impressed I am with your courage at posting up a picture like that. I want to share with you some knowledge that I have learned over the years. (2) Milk is produced through industrialised farming of cows. Farm cows contain high levels of hormones. Such hormones promote acne growth. Please stay away. (3) Yes, cutting down stress, sleeping more, eating more green vegetables, and staying away from oily and spicy foods all help. (4) If you want a medication with 99% chance (this is not an exaggeration) of completely eliminating your acne, there is a drug called Roaccutane. Dermatologists can prescribe this drug. As far as I understand, it is pretty safe, with the sole exception that you must not get pregnant while on the drug. It can be dangerous to the baby. However, once you have completed a 6 month course of the drug, I believe you can practically have a 3 year period completely free of acne. (5) If you have any acne spots that you need to get rid off ASAP, e.g. within 48 hours, ask your dermatologist for a cortisone injection. The lesion will collapse very quickly. However, I dont think you have spots that severe to require a cortisone injection at the moment. (6) I recommend Dr Koh Chuan Keng in Damansara Utama. 03 7725 8437. He is seriously a very very gentle and kind man. I was previously seeing Dr Allan Yee in gleneagles, who seemed like a genius to me, but he's since passed away. I share all these with you with the genuine wish that you will recover quickly and reclaim your life. I know what its like. I know how much of my life acne stole from me. How much time I will never get back. hi,may i know can i take the Roaccutane by myself without doctor's advice?where can get this medicine?thank you..
Hi, thanks for your interest. Unfortunately, legally you cannot take this drug unless you get it from a dermatologist. Also, even if you could find it illegally. I do not recommend you taking it without seeing a doctor first. They need to do a blood test on you to know whether you're fit. You should be able to get it from any dermatologist. There is one drawback to this powerful medication, and that is, it is very expensive. If I remember correctly, it cost me about RM 3,000 for the 6 months course. But that was about 7 years ago. I dont know whether the price has changed. It may have gotten cheaper. Unfortunately, I dont know. Doctors will always consider Roaccutane to be the last option, after they have tried every other cream and medication first. But I think its always good to ask the doctor about it, so that they dont take their own sweet time testing everything else before suggesting you try the drug. But I admit, the price is a big drawback. I hope it is cheaper nowadays. OK, I know I have ended up giving a very long winded essay/ thesis on your blog, and sorry, I hope you dont mind. I just wanted to share another thing a dermatologist told me once about treating acne. (3) Cleansing creams and washes. Usually, a dermatologist would suggest (3) first, then if cannot work, they move to (2), and finally, if that fails also, they suggest (1). Thanks for your patience with me, Karen. Thank you so much for the information, it helps. Yes, doctor told me not to drink too much milk too. Maybe i should try your advices, try to control my food. Btw, i never take oily food very often. I'm not using any skin products, only the cleanser/ toner and the pimples cream doctor gave. Actually i'm having Roaccutane now and antibiotic for a few months already. But i'm sicked last few weeks, so i stopped for a few days, my breakouts came back..and now i continue to take the medicine back again. It's improving, but i guess i just need to be more patient! LOL! Hello Karen, please do not ever have any steroid injection ( the cortisone injection mentioned above ) or any steroid cream. They are harmful to the body as they can suppress your adrenal glands. If you keep using steroid you will eventually get addicted. Once you withdraw from it the rebound will be very awful. So please do not use it! It might work like magic for the first time but nooo it's dangerous in the long run. I myself have used topical steroid cream to treat my eczema since young. Now I'm suffering the consequences. I believe that your skin will recover someday! Keep visualizing it :D You're a beautiful woman. Once you get through this, you'll become stronger than ever. So how's your skin now? did you visit doctor? Hi Xiying, I'm actually using what my skin doctor gave me. Will try to use organic products if my doctor allow me to. Take care! You're welcome! =) You are beautiful anyhow! I feel you, though I do not have sensitive skin or pimples problem, I know the feeling of insecure when you feel that you do not look good. I have serious dark circle problem, no matter how early, how many hours I sleep, the dark circle still cannot cure. Don't worry dear, dark circle can be covered easily/ you can try apply whitening cream or serum on it? 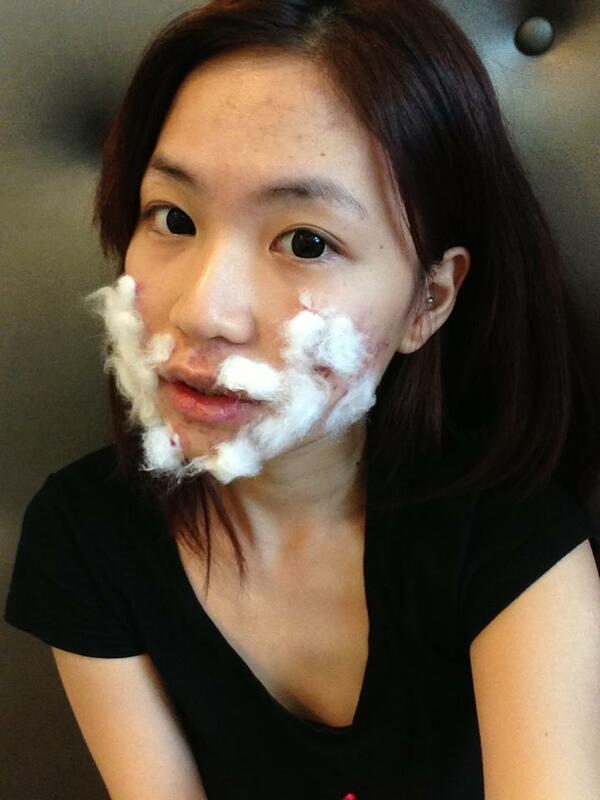 Then, I go for facial, try to use some normal facial product, stop make up! And now, recover without any scar! Anyway, be patient, your pretty will come back soon! Cheer! Yea, i've been through that. Face got worst after trying different stuff. But now i'm visiting doctor, i think my doctor is good, and i guess i will go for facial too. Yea, i'm being really really patient already. Awwww really? Yes, the first time i went.. i waited for hours too. I think he's really good, i trust him..Guess i just need to be patient, Sigh..
hi karen, do u mind to share Dr Ting clinic location to me? as i wish to pay a visit since he is so good. Thanks ! Here, remember to call and make appointment first. Sad to hear that, try to avoid makeup, because makeup block pores & will causes breakouts. (this is what i heard people said, but i guess it's true) I tried not to putting makeup that often already, especially when there are pimples. You can try to apply mask everyday..can help to calm down the skin..
Have you visit any doctor already? By looking at your recent pictures has the doctor investigated what causes the outbreak? could it be hormonal issues ? and wht type of injections did the doctor use on your face? btw I'm a pharmacist that's why I'm a bit concern on what injection yr doctor use. It's Lincomycin if not mistaken. Stop the stupid injection and all the medicine as well as doctor products. it just make ur skin worse and worse. I was having the same problem before. Try Malswisse, they help my skin alot. Also recommended the night cream selling by Lliss Wong. My skin dun have any pimple, acne, breakouts after I met Malswisse and the night cream. Just left blackheads and scars. Well, they need time. Stop wasting ur money on doctor. It couldn't help much. FYI She did heal from acne with those medication and injection . Everybody have diff type of skin , if something work for u ,it doesnt mean that it will work for her .Stop saying that somthing is 'stupid' , if you think is stupid ,why are there still so many demertologist nowdays? 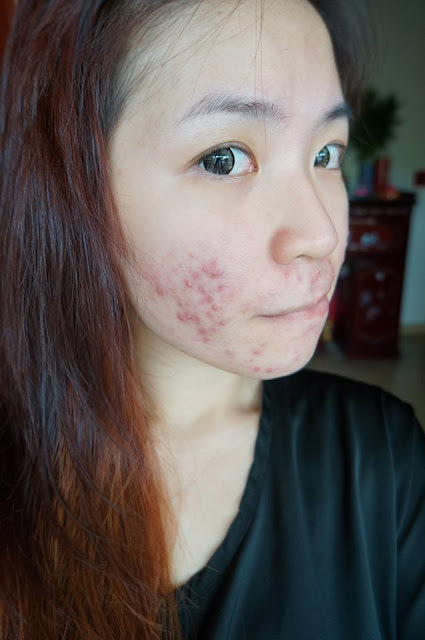 BECAUSE THEY HAVE HELPED ALOT OF PEOPLE TO RECOVER FROM ACNE.I know its EXPENSIVE but doent mean that its stupid.But you think those people suffeering from cystic acne want to spend money ?they dont want but do people with cystic acne got no chice sometimes ,I believed that she have tried lots of products too but it just didnt work .You want her to keep trying products ,you know every sinle time when someone tell her some products work and she tried but didnt wrok how much pain is it ?how depressing is it ? how unfair is it ? but if she cant find you want her to keep trying other product and wait till her acne become worst and get depress day by day? Mayb you r luckily get to find the product tht is suitable for you,good for you but please dont say injection and medicine frm demertologist is stupid ,they are not there might side effect but its fast and effectiv most of all it all better than having cytic acne and depression. Mayb u can try collagen product. I faced skin problems started august 2012...mayb too stress as I prepared for my wedding on Nov 2012..or mayb ate too much spicy food>.<..or mayb cause of hormone. my skin problems continue until last month I went back hometown for the election. My mom intro me de collagen product and a bottle kind of supplement . At first I dun wan to try cause too expensive for me..but then I did saw my bro face did recovered from serious acne problem(even go see skin doc oso cant recoverd) And my sis who already ate few month now has pinky smooth face. So I give it a trial. Now oredi bout 7weeks.i didnt really consume it everday but I do saw the difference. .im now not face with breakout problem.touch wood!! Touch wood! !anyway now left de scar..hope can be like my sis's skin one day!! Hi there, what brand of collagen you having now? I went to Dr.Ranjit in Subang, it does help for like 2 years, but I realize it just temporarily prevention from breakouts, actually I still do feel there's some acne hidden beneath my skin . So now im trying in chinese doctor, still not knowing hows the result. i think you should go try too . Hey Karen! I understand how you feel. I've been having this for more than 10 years now. It comes and goes and doesn't seem to be leaving anytime soon. Btw which skin specialist did you go to previously, which apparently didn't work? omg dear, i can understand how u feel exactly! I'm having the same problem a few months ago, still having but is much much more better than before now. And my problem came after i changed the cleansing product that I was using since it wasn't really heal my skin, pimples still popping out sometime, i really want a healthy skin so i take in people's advice and did some research on internet and then i decided to changed to NARUKO and nightmare begins! then my mom ask me to go to pharmacy and ask for the advice and they suggest me to use a canada product called "Cetaphil". That is really good and heal my skin, my skin turn out to be better after sometimes! And now my problems are to find a product which really suits me and find a product that can remove the acne scars! just wanna share the story of mine with you and hope u get healthy skin again in no time dear! Detail made such big difference? Dear, Cheer up and it will recover soon. I am having the same problem with you.But I trust it will recover soon. +U !!!! I have seen such cases mainly in guys, very few in women. There is only one way I know that can deal with this problem, and I know people succeeded... ... but it takes anything around 1 year of faithful routine. Hi there, Dr Ting is the best dermatologist in town. But don't inject cortisone too frequent, it will caused rolling scar. Everyone has their preferred look. Me too. 不过不化妆出门是ok的, 我都没鼓励过我朋友化妆来见面喝茶. Anyhow, hope you are getting better... Keep me update !!! To prevent the possibility therapy worksheets for kids of a major incident on the field. etc. Before we go into the experience with an open mind about the type of medical therapy that can be painful. Meaning, you have to do to get better. used to spam other websites. Hi Dear, are you in fact visiting this site on a regular basis, if so then you will absolutely get good know-how. Those who do notice, will usually strike up a conversation about either the stroller or your Bichon. a few points about the ads. left to right and the other half received chiropractic adjustments. not have effective medications available at present. flexibility. Yeah it could attorney be but does it target the root cause of pain. obviously surgery will be recommended.